FLS Ltd | Who owns your translation I.P. Who owns your translation I.P. What if your translation agency owned the legal rights to the translations, adaptations and localisation changes made to your translated document? The fact is, many Translation Companies do own the Language Database and this has a number of important implications. For those not in the know, Language Databases resulting from translations completed within a Translation Memory Tool, contain translated sentences and client specific terms, which are produced from Documents and Manuals, translated by an agency or translator. Translation software then recognises repeated sentences within documents, so each time a sentence is repeated it is automatically locks all but one away, instantly saving you money on less words to translate. Beyond this, each new project also creates a dual language database, which can be used against your next publications. If in your next publication, there are sentences which were translated in a previous translation, the software will automatically pick up the already translated sentence, and re-use it within you new documentation. Again, this cuts down the amount of words needing translation and saves you time and money. Many translators and translation providers include a legal clause within their terms and conditions so that the language databases created automatically becomes their intellectual property. This means the translator or agency will own the rights to the Language Databases from work you have paid for. They can do this because the Language Databases are a derivative from the services instructed and paid for by the client. If you are unsure whether your Translation Company owns the Language Databases, then you should review the agreement you signed. If it states that you own no property or copyright on the translations, then you will probably not have any rights on the Language Databases. Some agreements may also include a clause that prohibits the use of any Language Databases for any other purposes than for your translation work. However, if such a clause isn’t included then your Language Databases could potentially be bought, sold and licensed as there is value in technical translation terms and specialist glossaries – This is something further that you should check your agreement for. Translation Databases have a number of advantages for the agency and the client. We’ve established that the more a translation agency translates, the more the customer should save in translation costs, but not only is the translation agency saving on translation, it also makes short work of previously heavily hands-on Desktop Publishing in many cases saving around 70% on DTP time too. In addition to the cost savings Language Databases also reduce turnaround times and improves consistency. 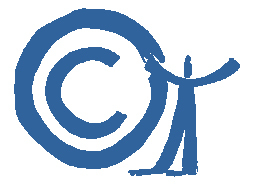 Why is it important for you to own the Intellectual Property to the Language Databases? To answer that question perhaps consider what it would mean if a client decided to switch translation agencies and couldn’t take their Language Databases with them? They would lose all of the cost efficiencies and the consistency of terms built up over time with each translation project. Cleary keeping the IP over the Language Databases creates a barrier to a client’s freedom to change translation agencies, essentially tying them in to staying with the current agency. Our clients remain the sole owner of the Language Databases and we will never sublet the data or use it with other clients. As rule, we deliver the Language Databases at no extra cost to our clients as part of our service, something we have done for many years.